Introducing Airdrop mode! – Zombies, Run! Just because Zombies, Run! Season 2 has concluded doesn’t mean we aren’t adding new features and content — we’ve just updated the app with a whole new game mode! Airdrop mode is a free update to Zombies, Run! 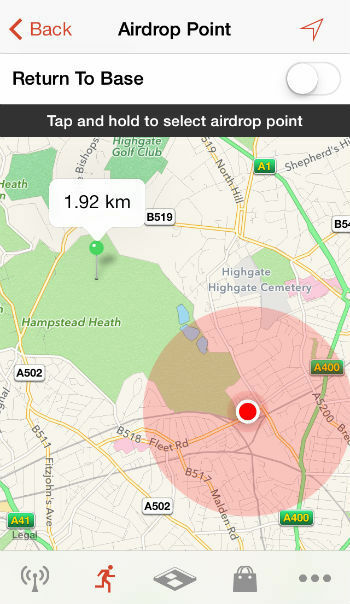 on both iPhone and Android which allows you to set your own real-world running destination. Simply select a nearby drop-point (in the real world) for the supply package, and go pick it up! We’ll fill in the story for you as you go, so it’ll feel like a completely new set of missions. 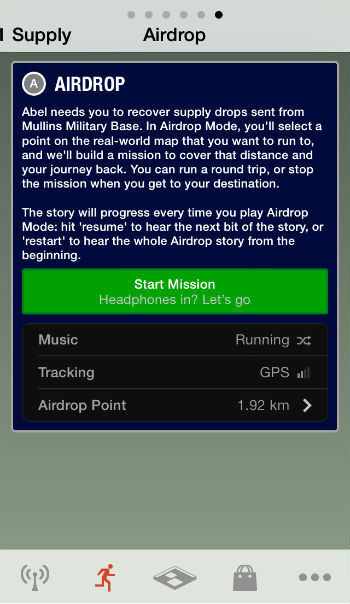 Airdrop dynamically creates a mission for you based on your distance from the airdrop site and updates the story and distance notifications in real time. If you’re feeling daring, you can set yourself a return journey, too. You can access Airdrop mode through the Missions screen – it’s in the same place that the Season 1, Season 2, Race Missions, Supply Missions, etc, are. Airdrop mode takes place during the first half of Season 2 of the game, so, if you’ve not finished Season 1 yet, we recommend doing that before delving into this new game mode. We hope you enjoy this free new update and, as always, be sure to let us know what you think! And of course, we still have our special Halloween missions coming next week…! Previous Post Free Halloween missions coming soon to Zombies, Run! Next Post 3 Days of Zombies, Starting Tomorrow!